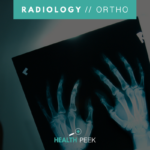 Not only do different imaging procedures differ in price, but depending on where you go you could end up paying different prices for the same procedure. That means an x-ray might cost $50 at one place, and the same x-ray could cost $200 at another. Shopping for the best imaging price available is difficult and often confusing. So, let’s take a look at five common imaging procedures and find out a fair market price for each of them. MRIs are highly advanced tests, so they run a little bit more expensive than some other imaging procedures. Because of their cutting-edge magnetic field and radio wave technology they are extremely useful tests for providing detailed images of soft-tissue. Healthcare Bluebook states that a fair market price for an MRI of the knee with and without contrast is $1,141. Although, some people have reported paying as much as $4,000 or more for knee MRIs. Ultrasounds are relatively simple imaging procedures. These tests use ultrasound waves to examine blood flow and monitor internal organs in real time. They are very common procedures, and one of the most common types is the pelvic ultrasound. Healthcare Bluebook suggests $278 as a fair price for a pelvic ultrasound, but some people have paid up to $1,100 or more for the procedure. CT scans or Computerized Tomography scans are advanced tests that use computer imaging software in conjunction with x-rays to capture detailed images of the body. These tests are extremely common. A fair price for an Abdomen and Pelvis CT scan with and without contrast is $1,125. People have reporting paying over $9,000 for a single CT scan. X-rays are perhaps the most common diagnostic imaging procedure. We are all familiar with them. They are commonly used for identifying bone fractures and pulmonary scarring. They are the simplest and oldest radiological tests, so they are typically the cheapest. Healthcare Bluebook suggests paying $58 for an abdominal x-ray, but people often pay over $1,000. A mammogram is a type of x-ray and it is typically used to examine or check for breast tumors in women. These are common screening procedures, but because they are more specific and preventative they typically cost a little bit more than your average x-ray. A bilateral digital screening mammogram should cost $329 according to Healthcare Bluebook. There have been cases of women paying $1,700 for a mammogram. Now that you know what Healthcare Bluebook recommends as a fair market price, you are armed with the facts to make sure no one takes advantage of you. This guide is relatively basic, and there are many more variations to imaging prices, but hopefully you now have an overview about fair price. As you can see, many prices vary wildly, so it can be difficult to know what is fair and what isn’t. SaveOnMedical allows you to search procedures and compare providers to make sure that you are getting the best available price for your particular imaging procedure. 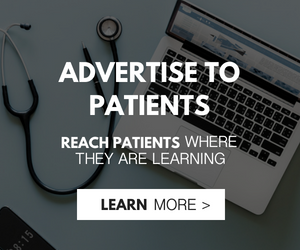 Each procedure will vary depending on where the test is performed on the body, but SaveOnMedical will allow you to know where and how to get the best price for your imaging needs. They allow you to search for a specific test near your location, which maximizes convenience and savings. Make sure you aren’t one of the people who overpays for basic imaging scans by signing up for SaveOnMedical.